Our engine driven kit designed in both 14 and 28 volt is the most capable kit on the market today for any IO-540 engine. Fire up the engine, turn on the system and you will be experiencing air conditioning the way it was meant to be. You can be cool and in control at the same time. 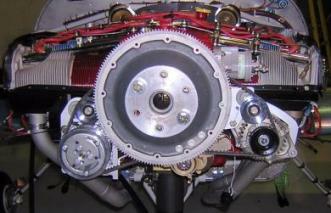 Flightline AC, Inc. is now delivering complete kits for the RV10. We offer both an engine driven kit in 14 and 28 volt as well as an engine off kit for 28 volt. 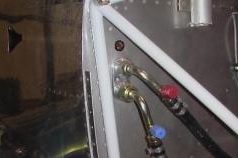 These systems are the most effective air conditioning units to be available for any small aircraft, and it's all brought together in the RV10. From compressor mount and design, to our prestigious inboard mounted and flight characteristic saving condenser technology, to the oversized evaporator and blower assembly, Flightline has designed the ideal kit for this ideal airplane. As you contemplate your need for air conditioning, also consider Flightline AC as the team who can provide to you the best kit available for your RV10. *3Flightline is the only manufacturer providing this safety feature as standard on all blower assemblies. *4Designed to prevent emissions from entering cabin space. The all electric kit replaces the firewall forward portion of the kit with our engine off capable electric compressor assembly. The all electric kit comes complete for mounting everything behind the rear bulkhead. This unit is even run tested so that at the end of your install you have plug and play performance.